Having participated on thousands of recording projects, Grammy nominated and platinum award winning engineer and producer Dennis Moody has demonstrated his ability to make great records. His work has involved projects with the world's top charting artists. His production skills have helped launch the careers of many, producing hundreds of albums and songs for new as well as established artists. As an audio engineer, Moody has become the "drummers engineer". Currently drummers Dave Weckl, Steve Gadd, and Michael White are regular clients of his. In addition, he has worked with most of the industries top session drummers. As a live concert engineer, he has mixed from Carnegie Hall to Madison Square Garden, from The Roxy in Hollywood to The L.A. Forum, all the L.A. Clubs and, most of the major concert venues throughout the United States and Europe, for shows having up to 250,000 in attendance. The House of Blues at Disneyland in Anaheim, CA employed Moody's FOH talents during their first year. He has also mixed thousands of shows of Broadway style musicals, large and small orchestral shows, plays, shows, and live broadcasts worldwide. Moody has written two books as well as authored a smartphone app. 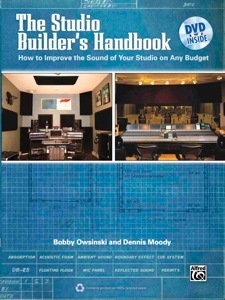 The "Drum Recording Handbook" published by Hal Leonard, and "The Studio Builder's Handbook" published by Alfred Publishing have been well received. His "SoundTips" smartphone app is currently available on iPhone and iPad, as well as the Android operating system and soon to be released in Spanish.